I most earnestly and humbly seek to be sustained and understood by the Spirit as I endeavor to discuss an important and sensitive subject. I approach it with all the humility and with the profound respect it commands. I have chosen to speak on the sanctity of life. I desire also to speak with reverence about the hallowed hallmark of life, which is the ability to reproduce itself. I wish also to be an advocate for the unborn. For this reason I direct my remarks primarily to women, because only they can honor the holy calling of motherhood, which is the most exalted good that can be rendered to mankind. In the Talmud we read that he who saves one life is as if he had saved an entire world. Since the beginning of man, God has taught of an absolute respect for human life. From the very first moment of his being until the last breath of his life, there is a veneration for life which includes those in being, but not yet born. The exercise of a man or woman’s sacred procreative powers makes each a partner with God in creation and brings to them in parenthood their greatest happiness. This divine partnership also brings their greatest privileges and most weighty responsibilities. Since becoming a parent is such a transcending blessing, and since each child is so precious and brings so much happiness, a cardinal purpose of marriage and of life itself is to bring forth new life within this partnership with God. Obligations inherent in the creation of precious human life are a sacred trust, which if faithfully kept, will keep us from degenerating into moral bankrupts and from becoming mere addicts of lust. In times past we have looked upon a person who saves another human life as a great hero; yet now we have come to a time when the taking of an unborn human life for nonmedical reasons has become tolerated, made legal, and accepted in many countries of the world. But making it legal to destroy newly conceived life will never make it right. It is consummately wrong. For the unborn, only two possibilities are open: It can become a live human being or a dead unborn child. Experts tell us that the necessity of terminating unborn life is rarely justified for purely medical or psychiatric reasons. 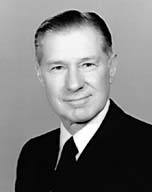 (Dr. James H. Ford, M.D., California Medical Journal, Nov. 1972, pp. 80–84.) Some justify abortions because the unborn may have been exposed to drugs or disease and may have birth defects. Where in all the world is the physically or mentally perfect man or woman? Is life not worth living unless it is free of handicaps? Experience in working with handicapped children would suggest that human nature frequently rises above its impediments and that in Shakespeare’s words, “They say best men are molded out of faults, And, for the most, become much more the better For being a little bad” (Measure for Measure, 5, i, 445) in the physical sense. Many parents who have known the heartache and concern of caring for a handicapped child would agree with Pearl Buck, Nobel prize-winning author who said, “A retarded child, a handicapped person, brings its own gift to life, even to the life of normal human beings.” (Death Before Birth, the Constitutional Right to Life Committee, Providence, Rhode Island.) What a great gift to mankind the life of Helen Keller brought. It is the belief of those who are members of this Church that human life is so hallowed and precious that there is an accountability to God on the part of those who invoke the sacred fountains of life. It is my feeling that we grossly underestimate the sacred nature of motherhood. Psychiatric experts remind us that there are certain fundamental, biological facts which influence the psyche of those who bring new life into the world. One says, “The ability of mothers to accept infants after they are born is underrated and underestimated.” (Dr. S. Bolter, American Journal of Psychiatry, Oct. 1962, pp. 312–16.) Childbearing is a basic biological and psychological, privileged function of womankind. The great medical profession, for which I have such great respect, that for centuries has been committed to the preservation of life under the cardinal principles of treatment﻿—“do no harm” and “protect life”﻿—now finds itself destroying almost a million unborn children a year in the United States alone. Each of these, because of tiny chromosomal differences, would have been different from any other person born in the world. How many with special gifts like unto Moses, Leonardo da Vinci, and Abraham Lincoln might have been among them? I leave my testimony that the most precious of all of God’s creations is eternal life itself, in the sacred name of Jesus Christ. Amen.